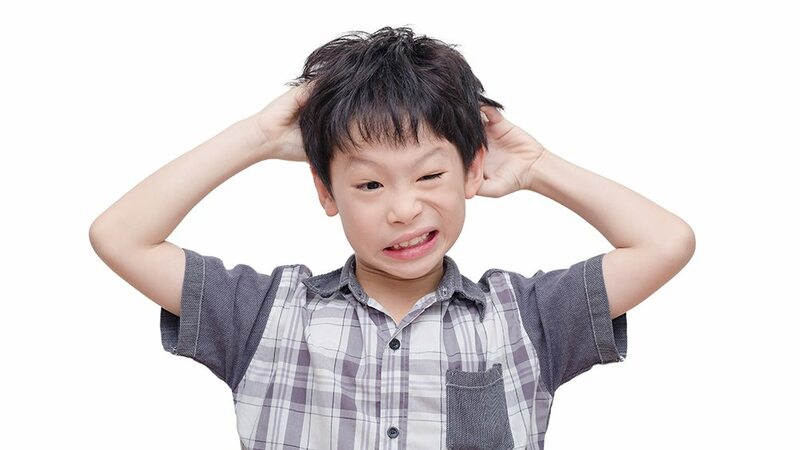 September is Head Lice Prevention Month and although Modern Pest Services doesn’t treat head lice, we do receive many questions from concerned parents about the topic throughout the school year. If you have school-aged children with head lice or just want to learn more about this annoying, yet common parasite, we’ve gathered some information and posted a series of articles related to head lice to educate you and answer some of your more common questions. The bane of many parents, the head louse is a tiny, wingless parasitic insect that lives among human hairs and feeds on extremely small amounts of blood drawn from the scalp. Although they may sound gross, lice (the plural of louse) are a very common problem, especially for kids ages 3 years to 12 years (girls more often than boys). Lice aren’t dangerous and they don’t spread disease, but they are contagious and can just be downright annoying. Their bites may cause a child’s scalp to become itchy and inflamed, and persistent scratching may lead to skin irritation and even infection. Lice eggs (called nits). These look like tiny yellow, tan, or brown dots before they hatch. After hatching, the remaining shell looks white or clear. Lice lay nits on hair shafts close to the skin’s surface, where the temperature is perfect for keeping warm until they hatch. Nits look sort of like dandruff, only they can’t be removed by brushing or shaking them off. Unless the infestation is heavy, it’s more common to see nits in a child’s hair than it is to see live lice crawling on the scalp. Lice eggs hatch within 1 to 2 weeks after they’re laid. Adult lice and nymphs (baby lice). The adult louse is no bigger than a sesame seed and is grayish-white or tan. Nymphs are smaller and become adult lice about 1 to 2 weeks after they hatch. Most lice feed on blood several times a day, but they can survive up to 2 days off the scalp. Scratching. With lice bites come itching and scratching. However, the itching may not always start right away — that depends on how sensitive your child’s skin is to the lice. It can sometimes take weeks for kids with lice to start scratching. They may complain, though, of things moving around on or tickling their heads. Small, red bumps or sores from scratching. For some kids, the irritation is mild; for others, a more bothersome rash may develop. Excessive scratching can lead to a bacterial infection (the skin would become red and tender and may have crusting and oozing along with swollen lymph glands). If your doctor thinks this is the case, he or she may treat the infection with an oral antibiotic. You may be able to see the lice or nits by parting your child’s hair into small sections and checking for lice and nits on the scalp, behind the ears, and around the nape of the neck (it’s rare for them to be found on eyelashes or eyebrows). A magnifying glass and bright light may help. But it can be tough to find a nymph or adult louse — often, there aren’t many of them and they’re able to move fast. Call your doctor if your child is constantly scratching his or her head or complains of an itchy scalp that won’t go away. The doctor should be able to tell you if your child is infested with lice and needs to be treated. Also be sure to check with your child’s school nurse or childcare center director to see if other kids have recently been treated for lice. If you discover that your child does, indeed, have lice or nits, contact the staff at the school and childcare center to let them know. Lice are highly contagious and can spread quickly from person to person, especially in group settings (schools, childcare centers, slumber parties, sports activities, and camps). Though they can’t fly or jump, these tiny parasites have specially adapted claws that allow them to crawl and cling firmly to hair. They spread mainly through head-to-head contact, but sharing clothing, bed linens, combs, brushes, and hats can also help pass them along. Kids are most prone to catching lice because they tend to have close physical contact with each other and often share personal items. And you may wonder if Fido or Fluffy may be catching the pests and passing them on to your family. But rest assured that pets can’t catch head lice and pass them on to people or the other way around. © 1995- 2010 The Nemours Foundation. All rights reserved.